The Wilson Electronic Cuppa range has a size to suit everyone’s requirements with 13 models to choose from, in either white colorbond or stainless steel finish. Commencing at 2.5 litres, which will suit a small factory, to the massive 60 litre unit with 2 outlet taps for quick discharge of boiling water which make them ideal for commercial kitchens and restaurants. 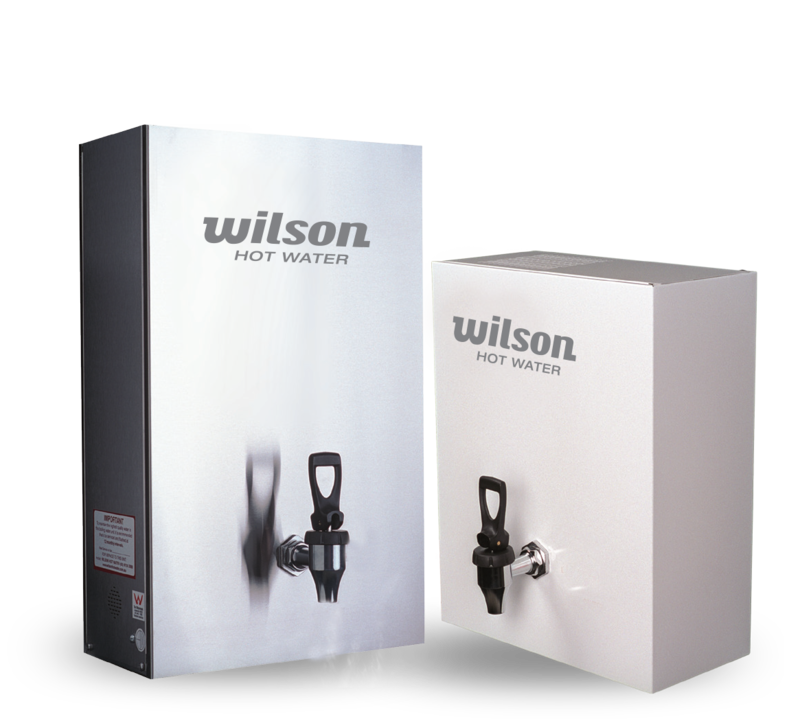 As the Wilson Electronic Cuppa is electronically controlled there is a minimum fluctuation of water temperature and servicing is made simple by the use of only 2 moving parts: float valve and draw off tap which keeps service costs low.